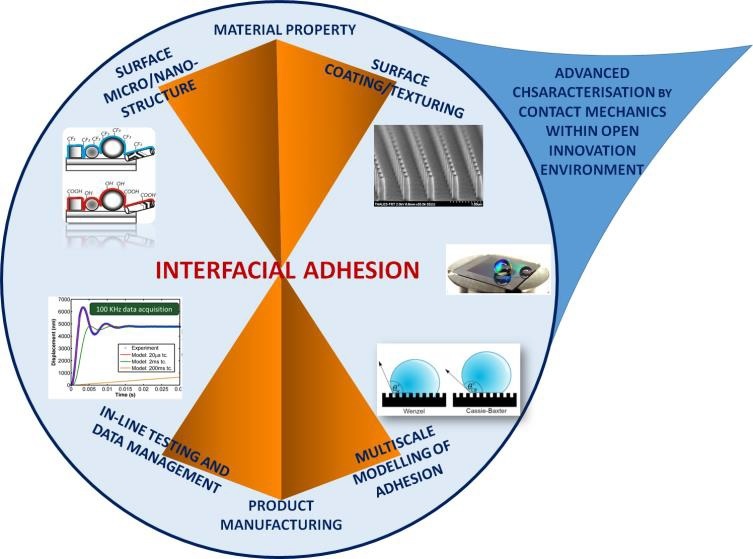 OYSTER uses contact mechanics to bridge adhesion data at multiple length scales and link interfacial adhesion to physicochemical properties. OYSTER brings Europe’s first-class laboratories and SMEs to take existing nanoscale characterisation technologies towards widespread utilisation in process optimisation and model validation. This project started on the 1st December 2017, it is an European large collaborative Project (NMBP-07-2017 – 3,99 M Euro – Grant Agreement 760827). The project Consortium is coordinated by the University “Roma Tre”, with the participation of 15 members from Academia, Research and Industry. This website has been produced by the Oyster Project. Its contents are the sole responsibility of the parties and cannot be considered as reflecting the position of the European Union. Fraunhofer Institute for Mechanics of Materials (IWM) hosted the last 6-monthly review meeting of the Oyster Project, on the 15th & 16th November. Members of all partners had a very fruitful meeting, which included presentations on progress across all work packages and a tour of Fraunhofer labs. University of Roma Tre, coordinator of the Oyster Project, hosted the M6 meeting with the participation of representatives from the 15 Oyster consortium members. The meeting took place in Rome on the 14th & 15th May at the Materials Science and Technology Building.